Vic Carrao of STS Guiding has been providing fishing report updates for this website and many others for the better part of 23 years. 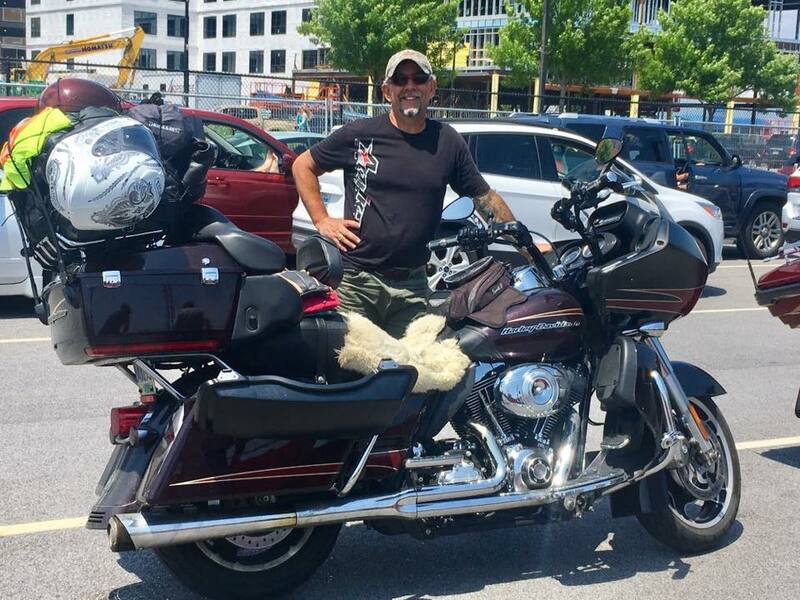 Vic has been away on an Adventure of a lifetime motorcycling around North America visiting 24 States, 8 Provinces riding 24,365 Km in 65 days. Vic has returned this past week and will be back on the key board writing reports, answering your questions and helping with bookings and trip planning. If you have any questions for Vic , would like to book a trip or just chat about the upcoming salmon and sturgeon season, please feel free to call or E-mail Vic at 604-671-3474 or email at sts. Vic’s Report is posted below. Good to be back home after 65 days on the road, I think I have arrived back just in time for some great fishing as the water conditions throughout the Fraser and local rivers look perfect. Looking at the salmon runs as they enter the Fraser things are starting off a bit slow but numbers of fish past the Albion Test Fishery are improving daily. 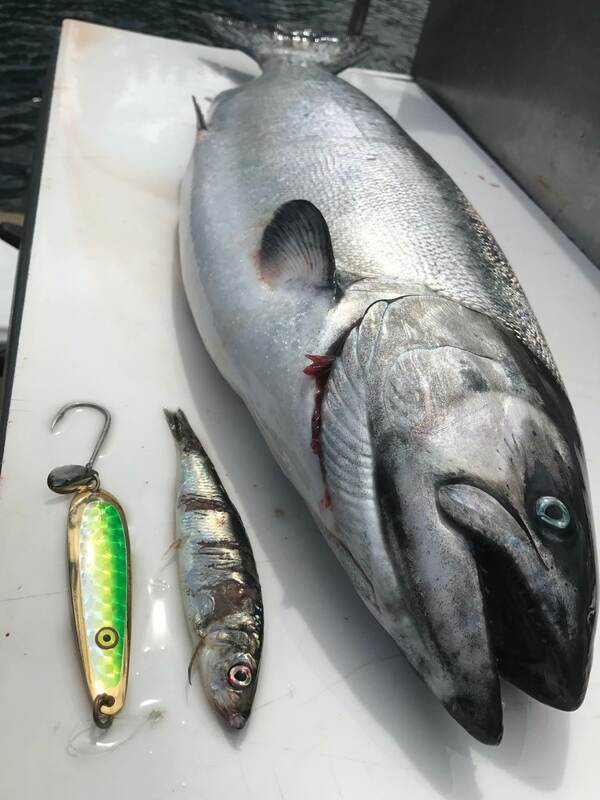 Local rivers like the Vedder are getting some early Chinook and Cultas Lake Sockeye but just keep in mind the sockeye are all catch and release. I know many people think sockeye don’t bite but they actually do in clear water so if your just after action, try fishing shrimp or even roe bags under a float and you might just be surprised how good the fishing is. We like to cure our shrimp or krill with double hot red pro cure. You don’t need to cure it long, just put a dozen or so shrimp or krill in a zip lock baggy, then add some pro cure and shake. I prefer to do this early morning before I head out the door, by the time you get to the river, it’s ready to use. This method works great on clear rivers like the Vedder and Harrison Rivers. Talking with our guides, sturgeon fishing has been improving with some nice fish being caught this past week. Most of the fish are being caught using salmon bellies or Pike Minnows. Fish are being caught in all parts of the river so it’s great to see the mid July fishery already picking up. The spawn area closure is not in effect as of now so you are free to fish the entire river for sturgeon. 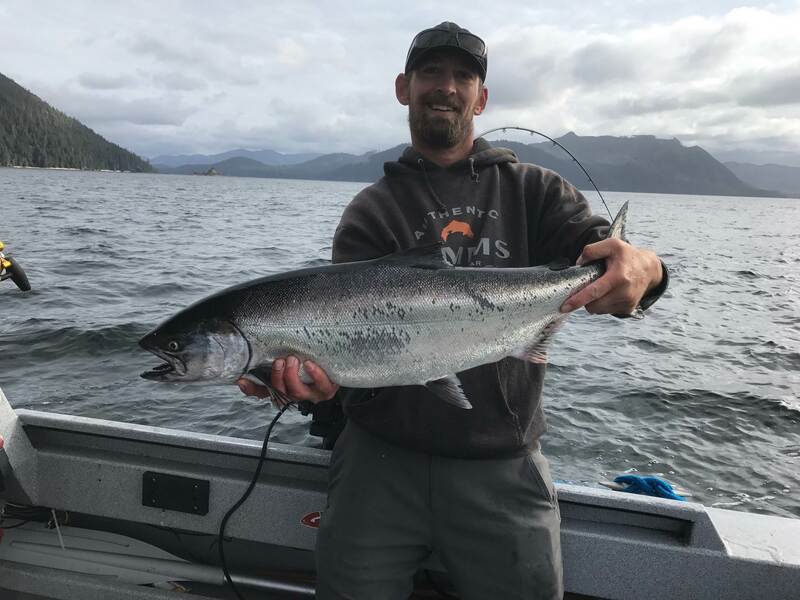 We have some of the most experienced and best trained guides on the water so if you looking for a guided trip for salmon, sturgeon or trout, feel free to call us. 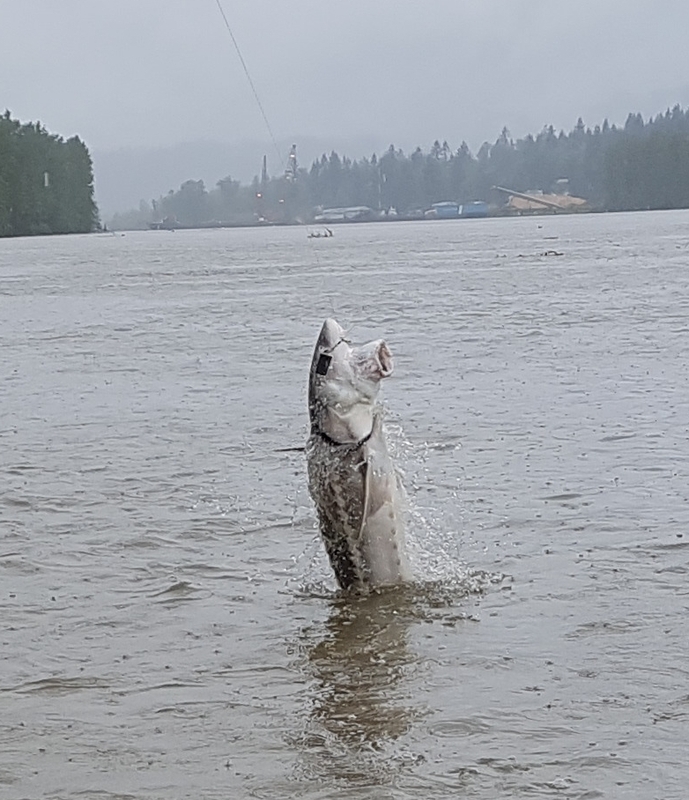 Thomas was up on the Pitt River yesterday doing a trip and reports that fishing was a bit slow and the river has changed drastically since he was last up. If your planning on going up just be carefull as things can go bad very quickly in that type of water. If your wanting to experience a Pitt River Adventure, now through to August 15th is good for Bull Trout, Sockeye and the occasional Chinook by catch. All fish are released unharmed and fly fishing is the preferred method. 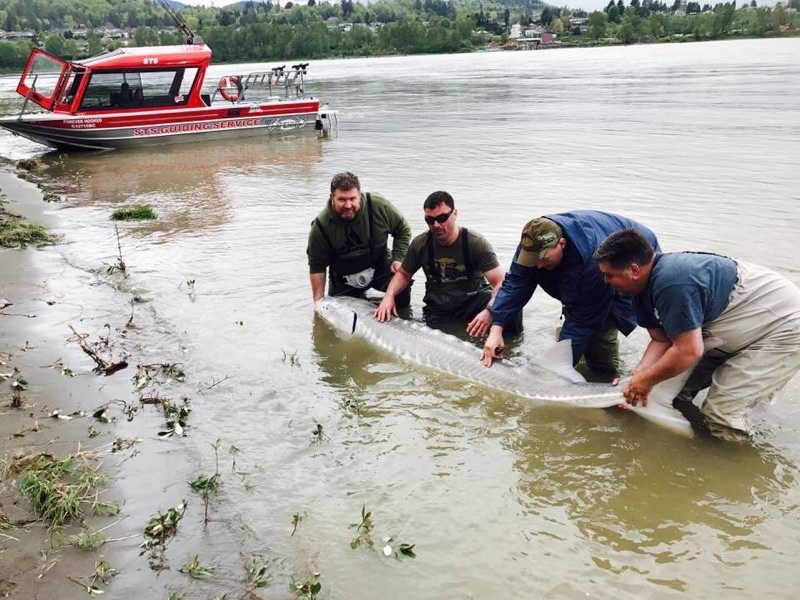 Long time STS Guide Doug Elias reports good sturgeon fishing on the lower Fraser, Doug landed some big sturgeon this past month, some of the jumpers shots he managed to get were spectacular. Doug has been guiding with STS for 11 seasons now and can find the fish day after day. 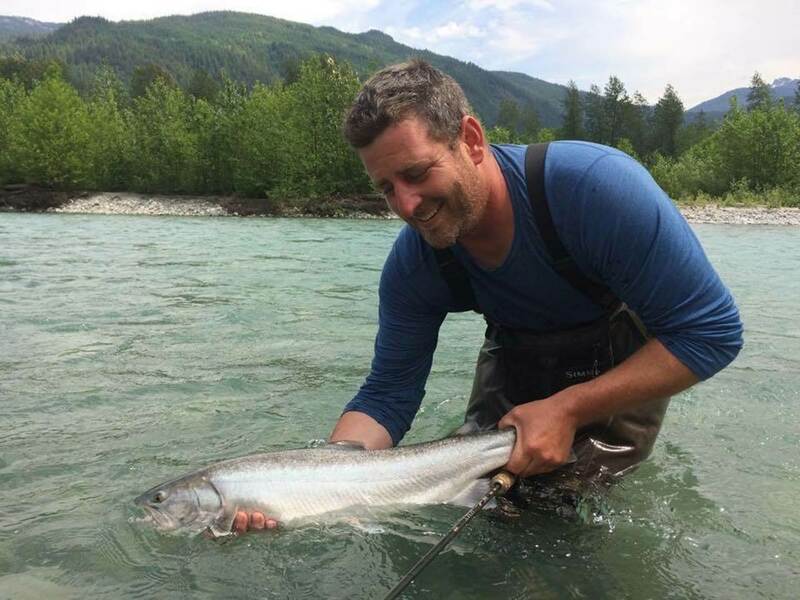 Doug is also a fly fishing guide so if your looking to tackle those Pink Salmon on the fly, Doug would be a great guide choice. 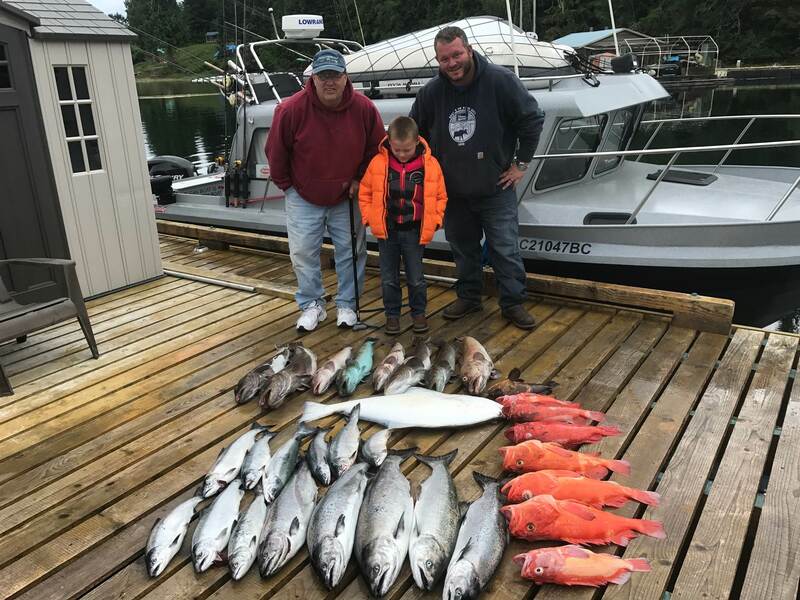 Tony has just returned from a week of fishing up at our Saltwater Lodge in Quatsino Sound. The fishing for salmon, cod and snapper has been excellent, the Hali fishing was a bit slower this week but we are still getting them. Thomas will be heading back up to guide a few trips next week and I will also be heading up to take advantage of this great fishery. Now that I am back I will be posting regular reports and also running my twin engine boat up in the Canyon, if your looking for a canyon adventure, I still have a few weekday available in August and September. We also haveseats available for our Hope to Hells Gate Jet Boat Tour for August 20 and August 27, book now to get your seat, cost is $139 per person. Hope you have a great week on the water and good fishing. You are currently reading July 19 Fishing Report update at Hells Gate Jet Boat Tours Blog.